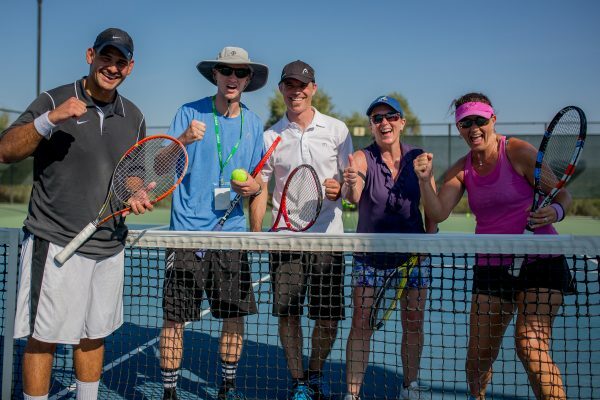 The Tennis Congress® is a community of passionate players and professionals committed to achieving their personal best, helping each other, and raising the bar for adult amateur tennis player development worldwide. 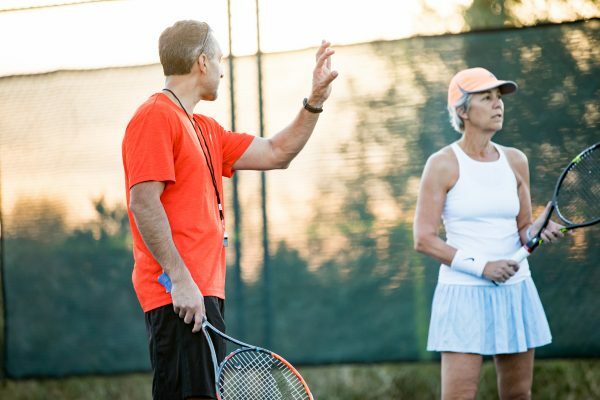 Our innovative world-class education and training events help adult tennis athletes fulfill their dreams and enrich their lives. In the process, we contribute to a better world by leveraging our influence and networks in support of positive social and environmental impacts. 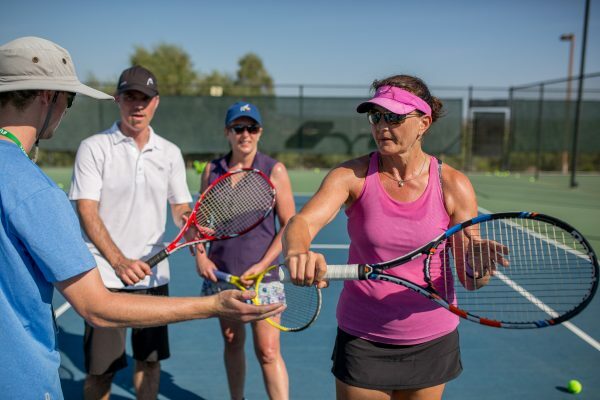 The Tennis Congress® was designed for amateur adult tennis players of all ages and levels (beginners through highly advanced) who are passionate about improving and reaching their personal best. The idea is simple but new: to give adult non-professional players an inspiring, intensive, in-person opportunity to learn from the world’s top experts about all aspects of training necessary to advance to the next level (technique, movement, strategy, fitness, injury prevention, and mental conditioning)—using both on-court training and innovative and dynamic off-court techniques. Importantly, the agenda and curriculum for Tennis Congress events are designed to address the priorities the individuals who take part. 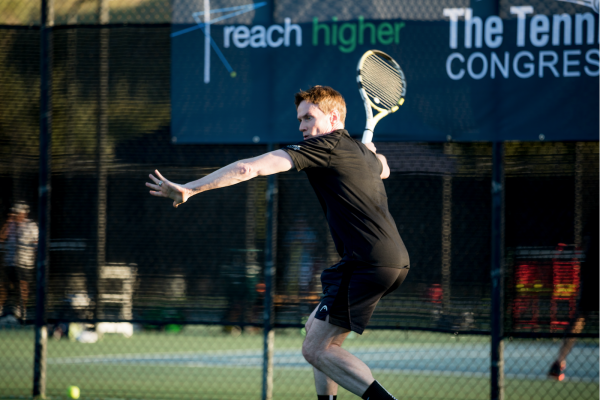 Our innovative, rigorous, and holistic approach combines both on-court and off-court learning to accelerate learning. 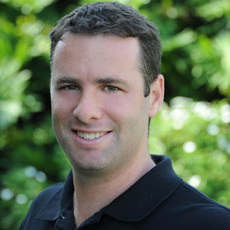 Faculty members with expertise in everything from stroke mechanics to strategy to sports psychology to nutrition use video, whiteboards, movement drills, fitness equipment, and other modern tools and techniques. 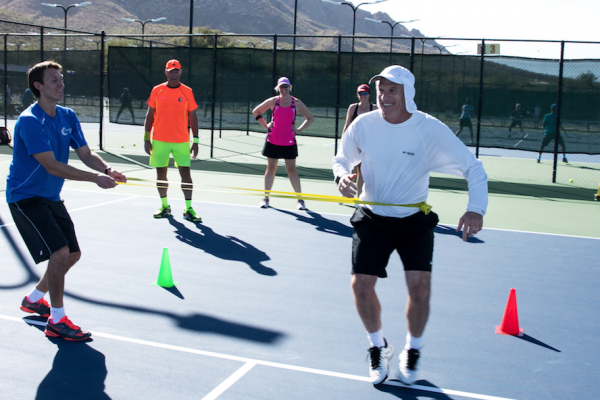 Whether you are relatively new to the sport or are seriously advanced, each Tennis Congress event offers an unparalleled opportunity to enhance your own capacity to fast-track your progress. In addition to our goal of enriching lives through unparalleled world-class tennis education and training, The Tennis Congress strives to make positive contributions to a better world. In our daily operations and at events, we are making every effort to reduce waste, offset our carbon emissions, and support vendors adopting environmentally sound best practices. We partner with outstanding charitable foundations to explore new avenues to activate the tennis community in support of high-impact projects that benefit people and the planet. 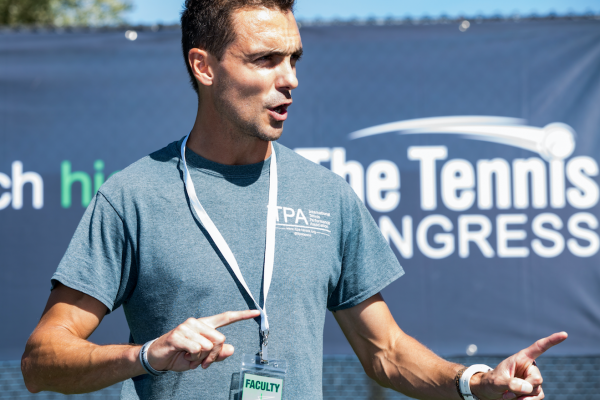 Tennis Congress programming is overseen by a combination of industry leaders and nonprofessional players united by their passion for excellence. P.J. 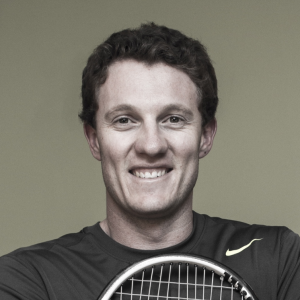 Simmons, Founder, is a self-professed Tennisaholic who didn’t start playing until relatively late in life—despite being infatuated with the sport since his youth. 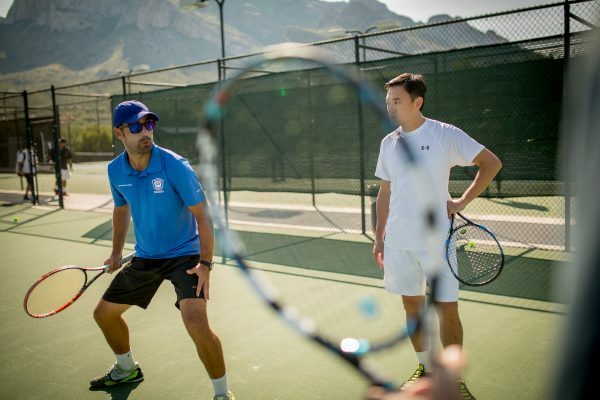 His passion lies in helping other adult players accelerate their progress towards their personal best while enjoying the journey and enriching their lives in the process. He is also an ACE-certified personal trainer (CPT), an iTPA Certified Tennis Performance Specialist (CTPS), and ISSA-certified Specialist in Fitness Nutrition. P.J. 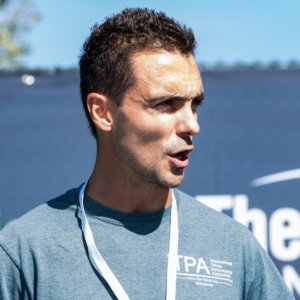 chronicles his own experiences trying to become a better player on the blog, “The Road to 4.5 Tennis.” He is the very proud recipient of the 2016 PTR/Tennis Industry Association “Commitment to the Industry” Award. P.J. 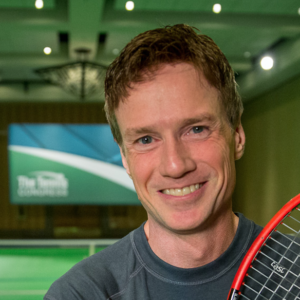 strives to bring the same energy, enthusiasm & impact to the adult recreational tennis community that he has brought to the global sustainability arena for nearly two decades. He is co-founder and Chair of the Corporate Eco Forum — one of the world’s preeminent networks for senior executives from about seventy Fortune 500 companies with combined revenues of over $3 trillion. He has also held senior positions at the Woodrow Wilson International Center for Scholars, the Carnegie Endowment for International Peace, the Rockefeller Brothers Fund, and the Clinton Global Initiative. 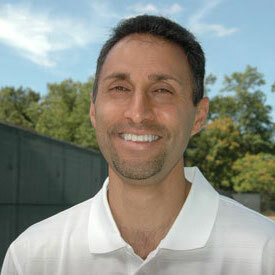 His publications include the highly acclaimed The Green to Gold Business Playbook. P.J. is a member of the Council on Foreign Relations. 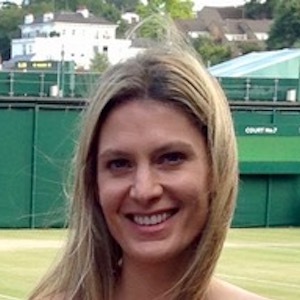 Amy Lundy, Director, Tennis Congress Films, is a sports journalist and content producer for multiple television and digital platforms. Amy’s reporting and writing has appeared on ESPN’s Outside the Lines, ESPN.com, CNN, and The Golf Channel. She has received several journalism and producing awards including an Emmy and national Edward R. Murrow Award for excellence in broadcast journalism. An avid amateur player and team captain, she enjoys all aspects of learning, competing and community-building in the sport of tennis. She’s also the proud mother of two young tennis players and serves on the Board of Directors of the charitable, education-based Oyebog Tennis Academy in Cameroon, Africa. 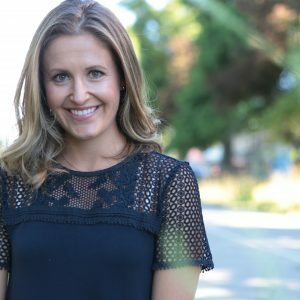 Based in Vancouver, Canada, Megan is the Director of Community and Partnerships for the Tennis Congress. Graduating with her BA from Jacksonville University, Megan specialized in PR and Advertising. Deciding that home is where the heart is, Megan moved back to Vancouver and put her education and love for sport into her career working for The Vancouver 2010 Winter Olympic Games. She doesn’t play as often as she used to but still keeps her fitness up as an elite middle-distance runner – because she can’t stop competing…with herself.